Enter your email address below to receive a notification when Mud & Bloom starts accepting new sign-ups! Enter your email address below to receive a notification when Mud & Bloom is accepting new sign-ups again. 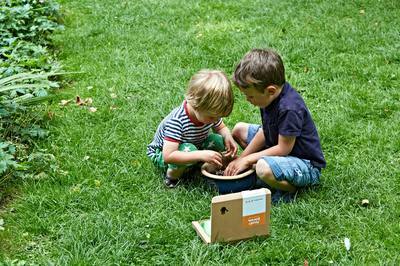 Each box includes everything you need for two planting activities and two nature craft activities - along with instructions, quizzes and games aimed at teaching children about the seasons, plants, insects, birds and animals. 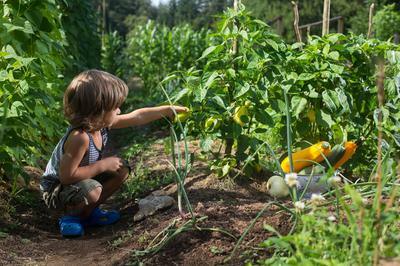 You don't have to have a garden as organic compost pellets are provided in each box. 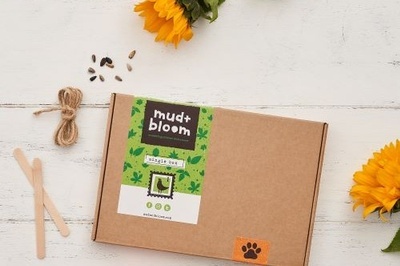 My daughter just received her first Mud & Bloom box, and not only was she over the moon excited, but I absolutely love the purpose of and thought put into this subscription. 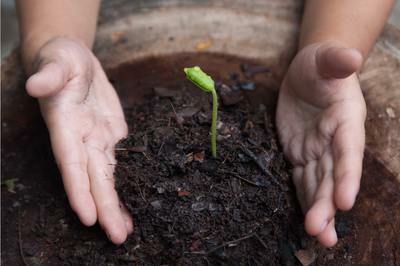 They provide you with the tools to teach your children life skills, like growing from seed and making a twig raft, while also providing educational activities that get your kids outdoors and learning new things! This January box revovled around growing sprouts, sprouting an avocado seed to grow a tree, bird watching, building a floating twig raft, and more! We are already so excited to see what February's box has in store for her, and we haven't even finished all of the activities from this box! Definitely 5 stars for Mud & Bloom!